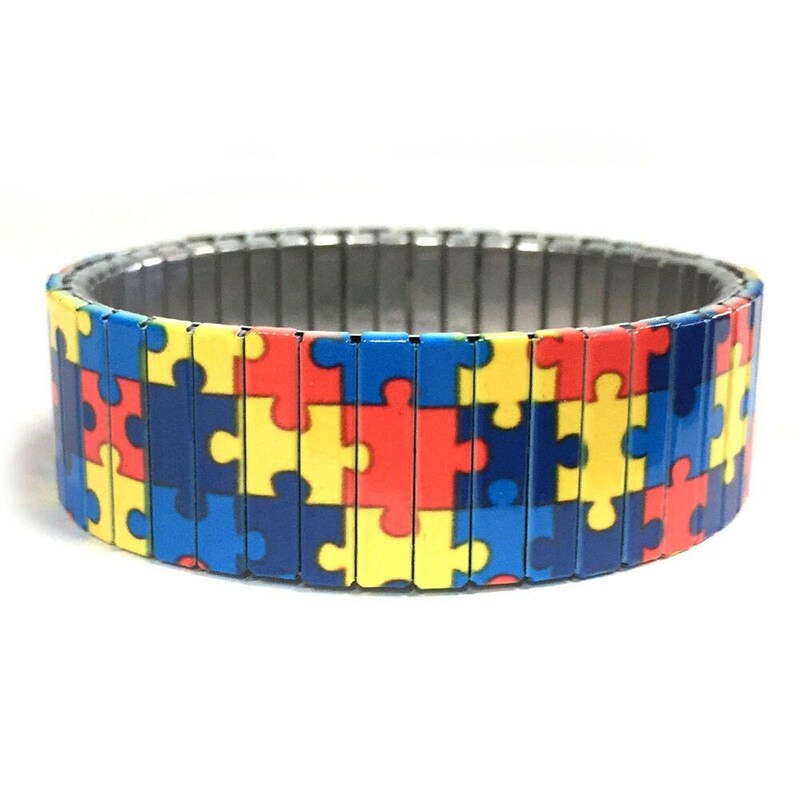 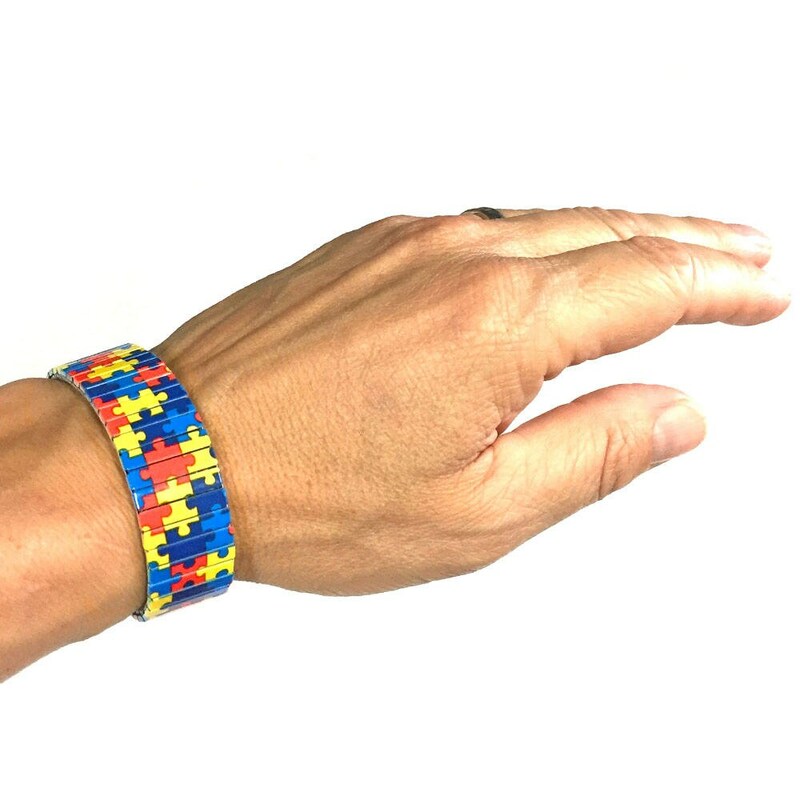 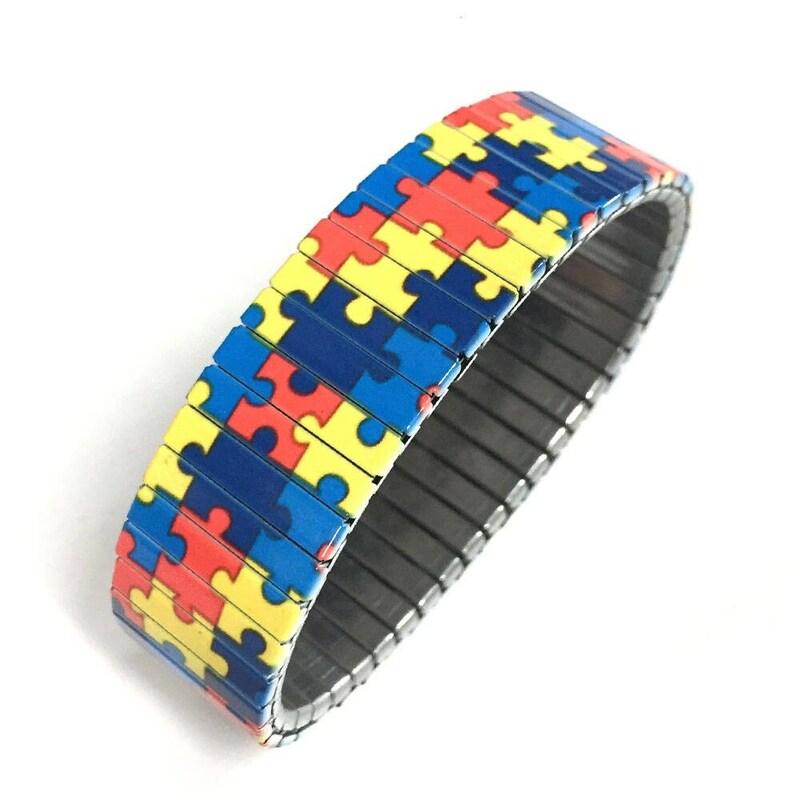 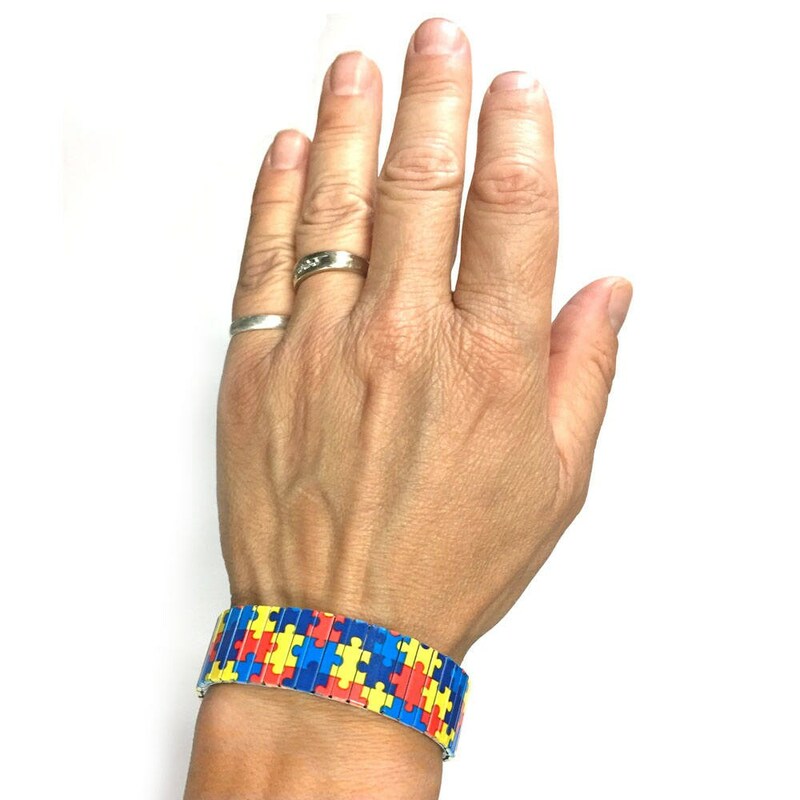 Stretch bracelet representing Autism awareness puzzle pieces to show your support! 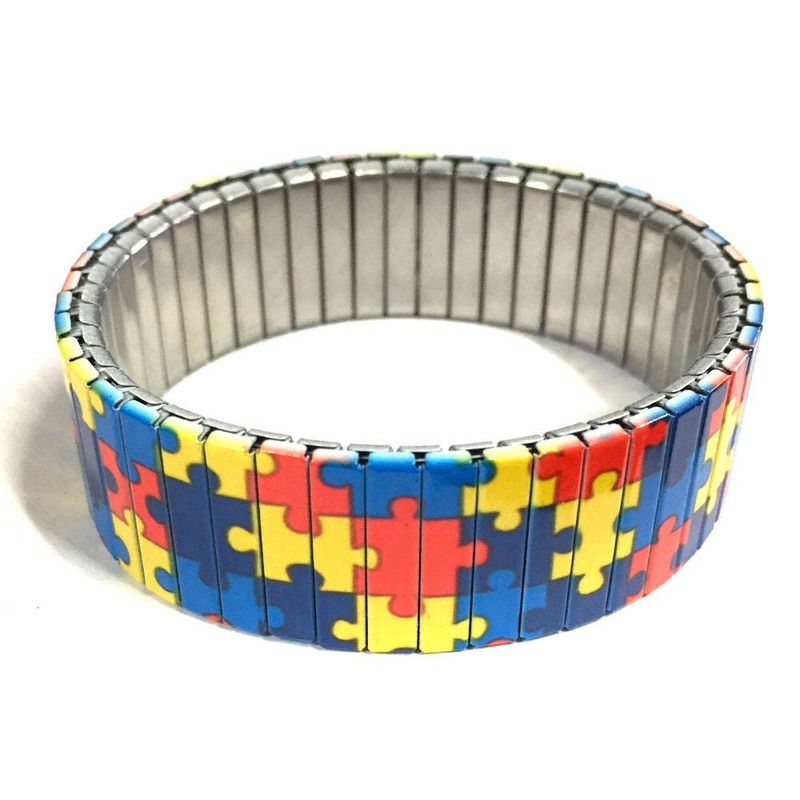 Simply add the circumference of your wrist when you order. 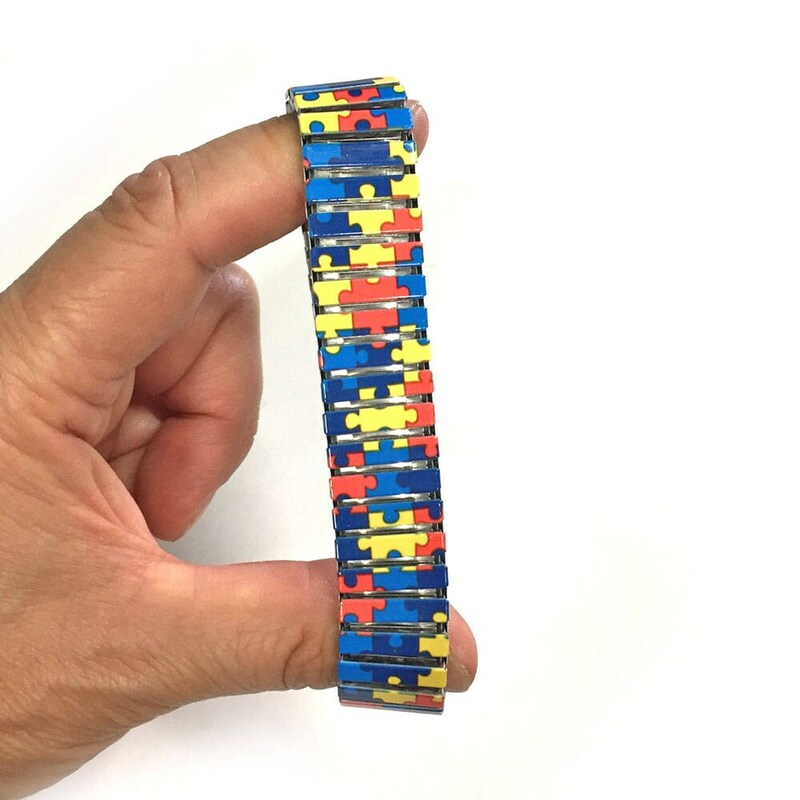 If you don’t see your size in the preset list simply send me a convo with the size of your wrist.